Wash the chicken pieces and drain all water. 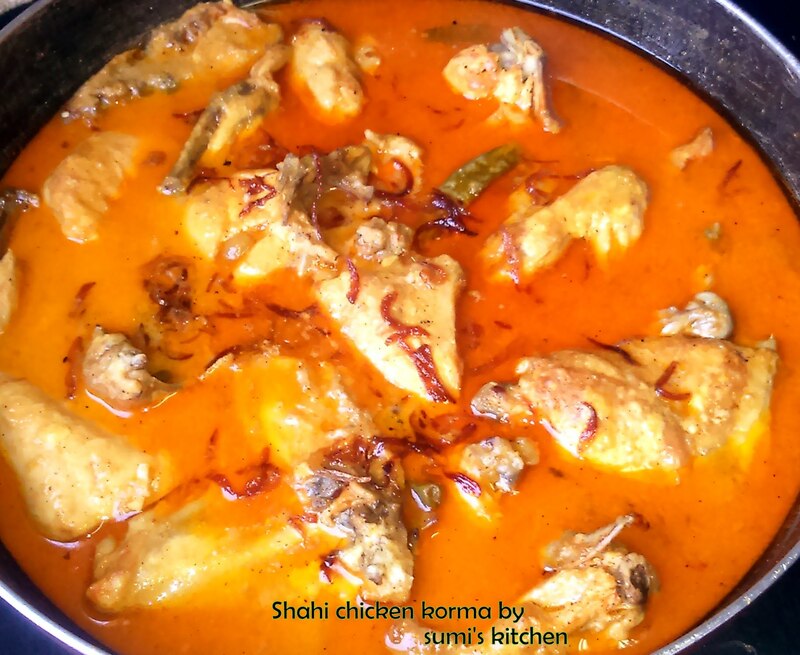 In a karahi , Mix lemon juice, oil, food color and green chilies with the chicken pieces. Fry on high flame until it golden and all water dries up. Remove from karahi and set aside. Heat ghee in karahi, add whole garam masala and all other powder and paste masala. Stir well. In a small bowl, add yogurt with 1tbsp flour. Mix well. Add yogurt, Tomato ketchup and 1cup water. Cook until oil separates. Now add chicken pieces into the karahi and mix with masala gravy. Pour 1 cup hot milk and 1cup hot water into the karahi. Cover and cook on low heat for 10 minutes or cook the chicken as it turns soft. Stir occasionally. Now add fried onion over the chicken and mix well. Again cover and cook for 5 minutes on low flame. Garnish with beresta and serve with pulao.